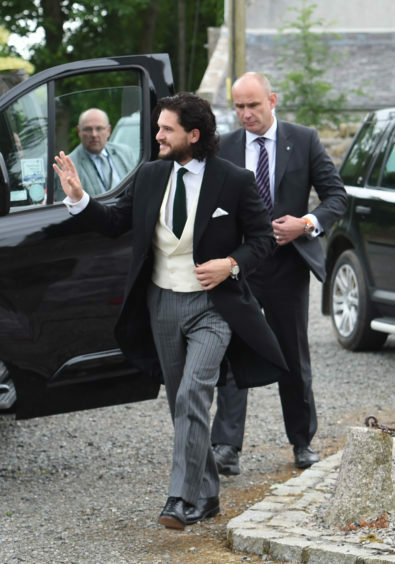 The actors, who played on-screen lovers Jon Snow and Ygritte, were joined by around 200 guests as they married at Rayne Church in Kirkton of Rayne. 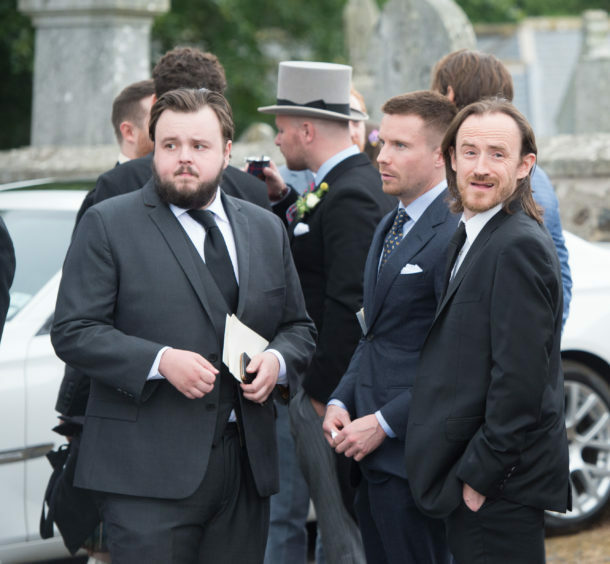 Guests at the wedding included Game Of Thrones stars Peter Dinklage, Maisie Williams, Sophie Turner and Emilia Clarke, actor Jack Donnelly and his partner, actress Malin Akerman. 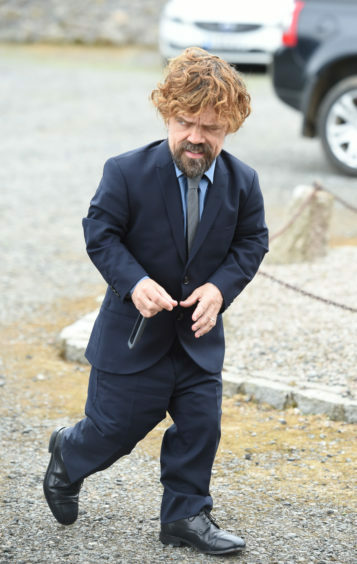 Local residents were delighted that such a star-studded event was taking place in their quiet village. One woman, who wished to remain anonymous, said: “This is very exciting for us. All the cars have been going back and forth since Wednesday. “We knew something big was going on because of how the church was decorated – it very rarely looks like that. 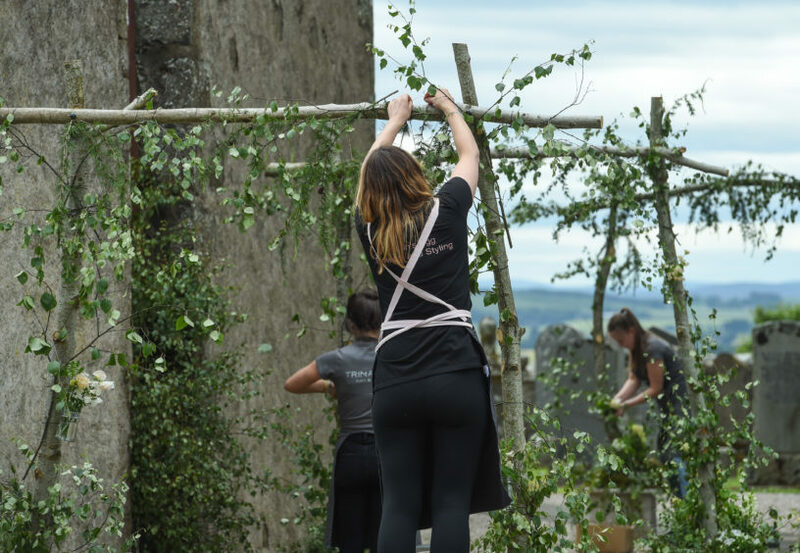 “Stuff like this doesn’t happen very often in our village so it’s definitely one of the more exciting events to take place”. 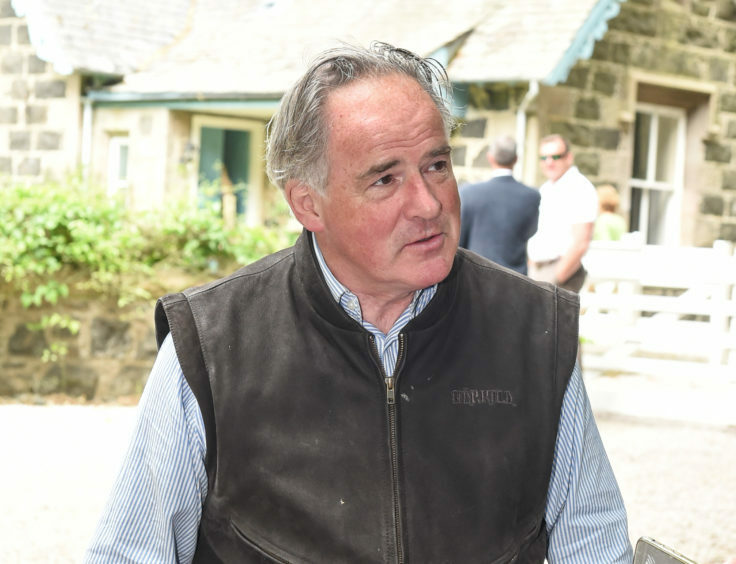 Jenny Carmichael-Green only moved to the area from South Africa last week and, as a keen fan of the show, was thrilled to have made such a timely move. She said: “I think the excitement is actually trying to see which guests are here. “We’d made plans for today but they keep getting pushed back so we can see the pair of them”. Tracey Leslie, who lives just feet from the church, said it was “totally unexpected” to have the nuptials unfolding so close to home. “I think it’s pretty special having something as close by as this,” she said. “Especially with them being so big, it’s nice they didn’t just go to some plush London hotel. Friend of the Leslie family, Atty Birdwood, performed at the ceremony and is thought to have sung Songbird by Fleetwood Mac. Speaking after the event, she said: “It was very exciting, but a lovely ceremony”. 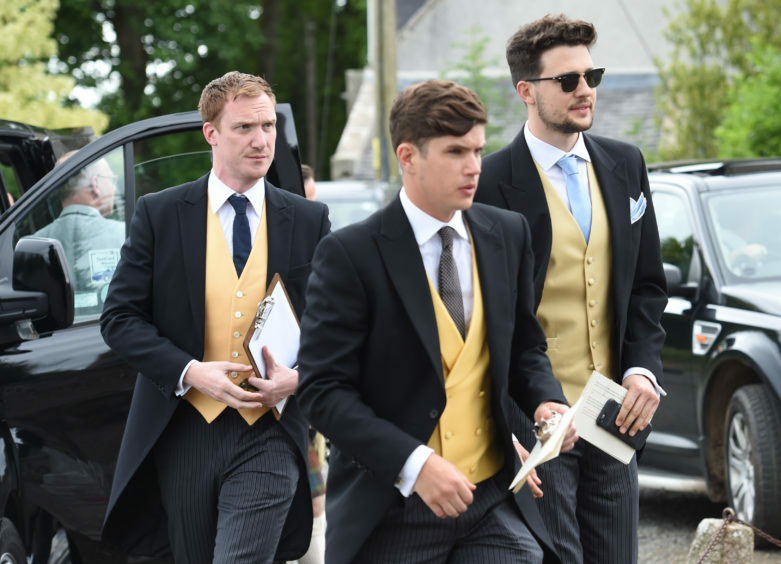 Earlier in the day the bride’s father Sebastian, an Aberdeenshire councillor, said: “We are absolutely thrilled for Kit and Rose to be marrying today”. “It’s an absolutely lovely day for us,’ he said. 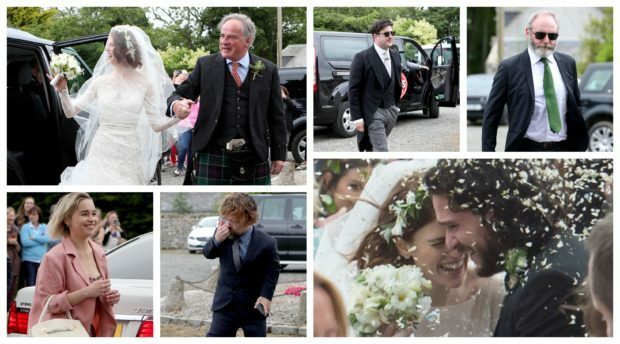 He added: “It’s a great day for Aberdeenshire. We are using local caterers, local lighting, local flowers”. 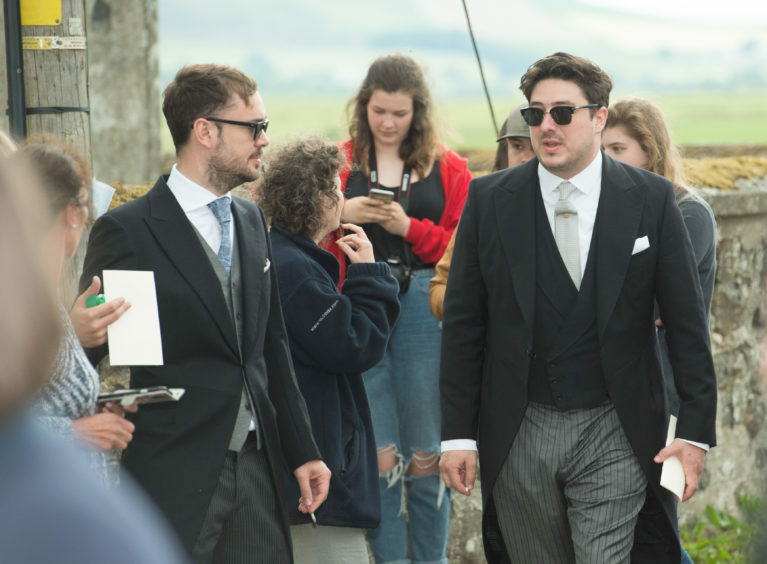 Fans of the show had gathered outside the castle hoping to catch a glimpse of the couple. 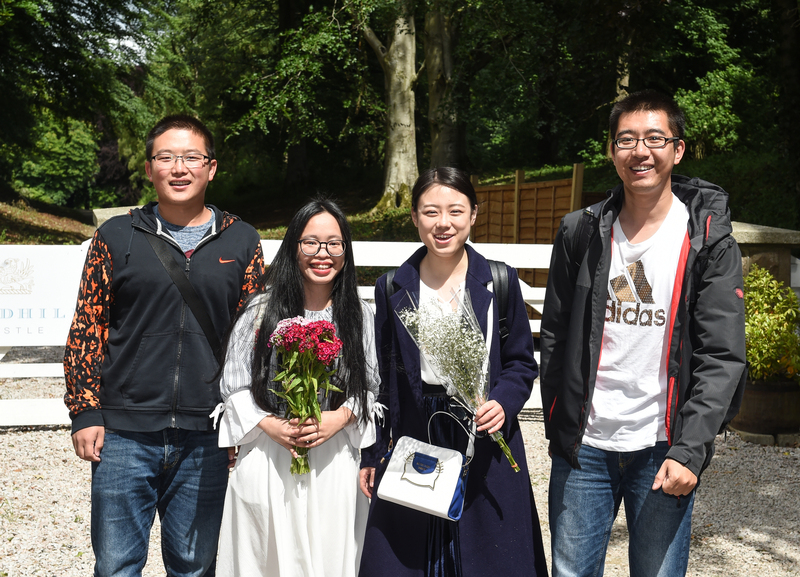 Two students from China, currently studying in Glasgow, were among the fans who gathered at the venue. 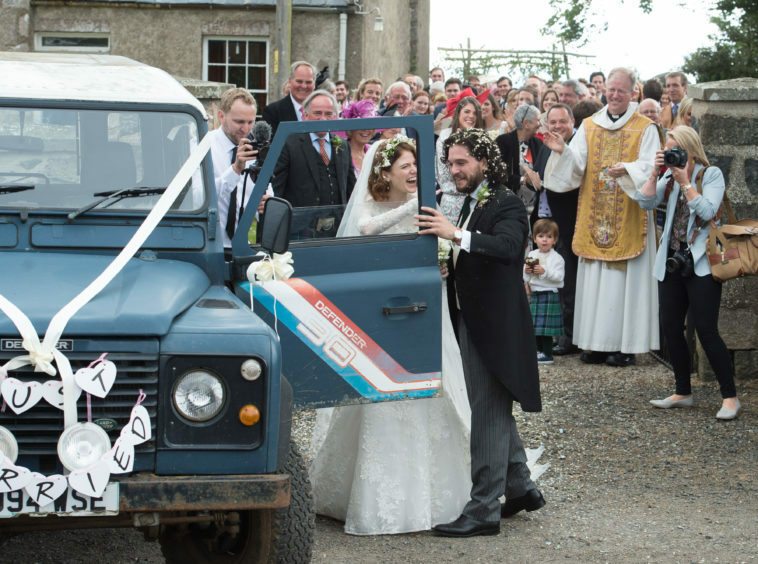 A cheer greeted the newlyweds as they got into an old Land Rover Defender adorned with paper hearts and tin cans and headed to the reception at the bride’s historic family home, Wardhill Castle. 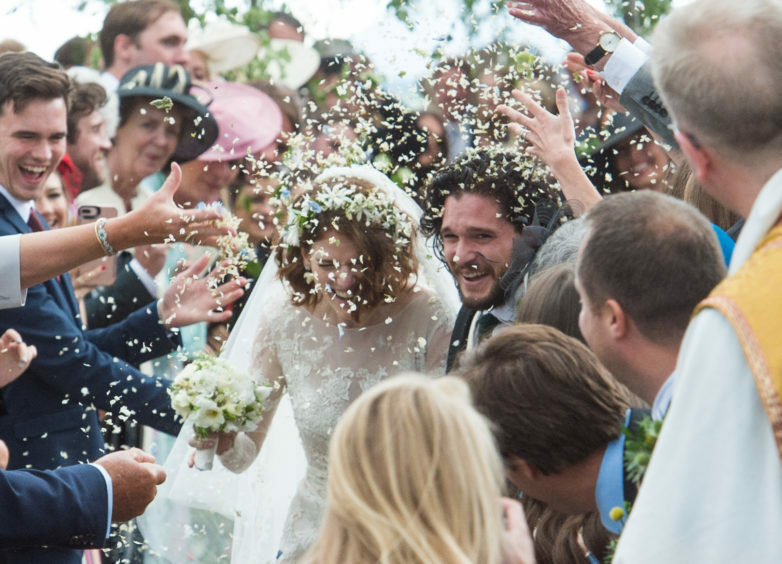 The couple met on the set of Game of Thrones in 2012 and started dating soon after, before announcing their engagement in The Times newspaper last year. 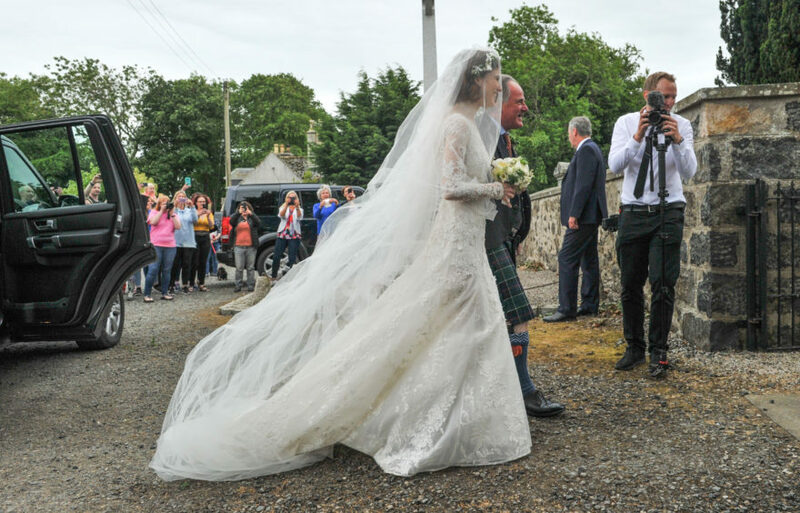 A wedding date of June 23 had previously been posted at Aberdeenshire Council’s Huntly registration office.